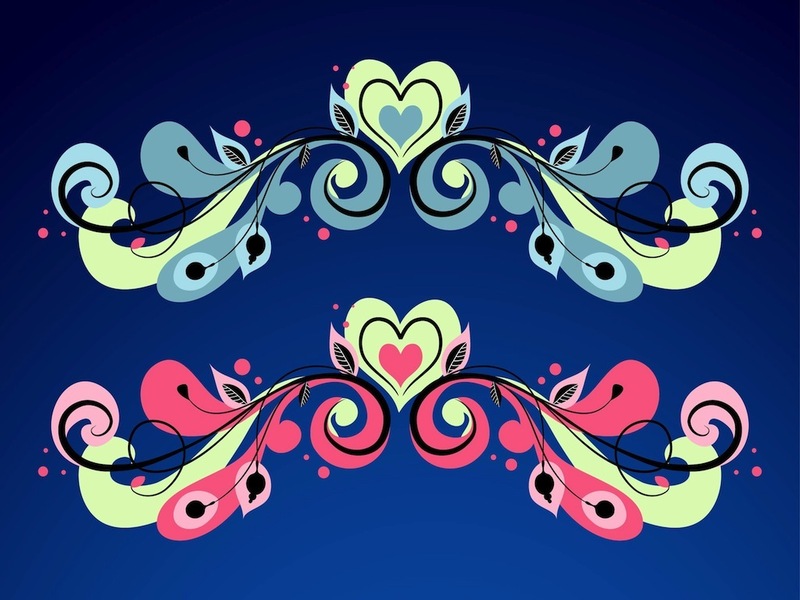 Vector graphics with hearts and flowers. Elongated designs in different colors. Hearts in the center of the layout, swirling plant stems on both sides of the design, leaves and strange petals. Free vector decorations for all your posters, flyers, Valentine’s Day greeting cards, stickers, decals and T-shirt prints. Tags: Floral, Flowers, Leaves, Love, Lovely, Petals, Plants, Stems, Valentine.